The Bahujan Samaj Party plans to work on its own. 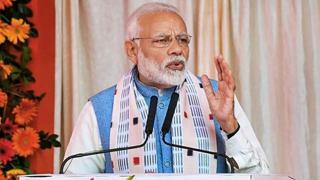 BSP leaders will raise the issue in public meetings during the 2019 Lok Sabha election campaign to mobilise the Dalit community against the BJP, a party leader said Monday. He added the BSP treats Singh's comments as an insult to the Dalit community and women. 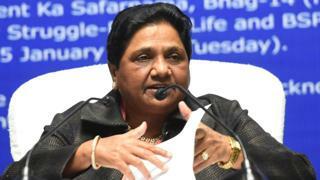 Mayawati on Monday discussed the issues with the members. A BSP leader was informed in the matter that the party's zonal coordinator had submitted an application with police for registration of FIR against the Sadhna Singh, the BJP MLA from Mughalsarai. During her stay in Lucknow, BSP chief will finalize the candidates for the 38 Lok Sabha seats that the party will contest, discuss the election strategy with the office bearers, Smajwadi Party chief Akhilesh Yadav with finalizing public meetings and joint rallies. BSP sources said Mayawati was likely to attend the wedding of Pawan Sagar's daughter with UP Congress president Raj Bakbar's son in Lucknow on January 23.